Twitter has set different limits on user activities to decrease the load on their services, as well as reduce the possibility of spammy behavior. 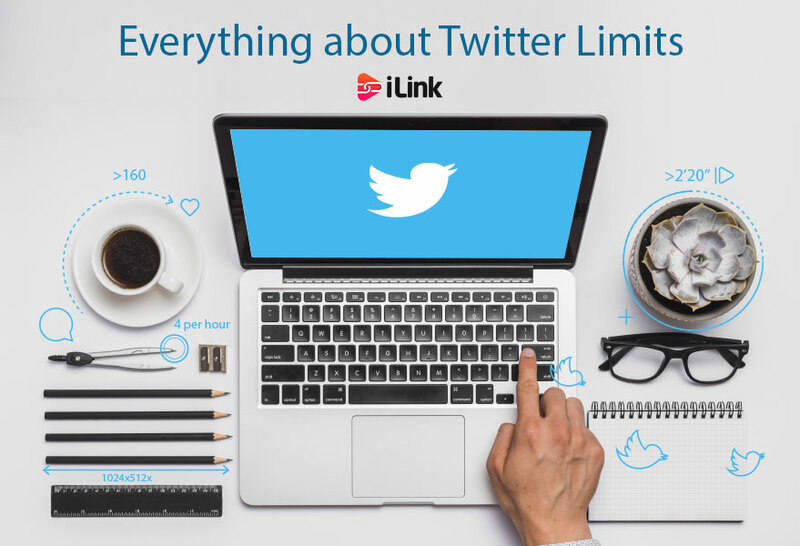 These limits are based on a combination of factors like how old your account is, the speed at which you follow/unfollow, the third-party applications you use for your Twitter account and also if you are using the native Twitter app less frequently. January 6, 2012: Added lists and unfollow limits. January 6, 2013: Added biography character limit & Picture sizes. May 31, 2013: Twitter updates the number of Twitter lists you can have and the number of users you can follow in each list. August 12, 2015: Twitter now lets you send direct messages with up to 10,000 characters. The threshold used to be 140 (similar to standard tweets). October 28, 2015: Twitter has raised their follow limit from 2,000 to 5,000. October 2016: links, Media attachments, and screen names in replies no longer count in the 140character limit. November 2017: The number of characters in a Tweet has been raised from 140 to 280. You may be new to Twitter, or you may have been using the platform for a long time and hit the “2000” limit, which Twitter increased to 5,000. Most social media platforms have limits in place for the number of users you can “follow” or “friend.” For instance, Google+ currently has a limit of 5,000 users you can have in your circles, and you have a limit of 5,000 “friends” on Facebook. This is to stop individuals, brands or automated applications from abusing the system. On Twitter, it was possible to bulk follow thousands and thousands of users in the hope that they would follow you back. This caused many accounts to abuse this and follow a lot of people while not generating engaging content and not having many users to follow them back. Twitter launched back in March 2006. But it wasn’t until August 2008 that it began imposing limits on the number of users you could follow. Twitter was facing big problems with spam (as Twitter co-founder blogged at the time). There was a lot of backlash at the time, and a lot of confusion. It’s generally assumed that Twitter introduced a 2,000 following limit, which means you could only follow up to 2,000 users. But, this isn’t strictly true. According to researches, the magic number is 1,819! This means if you have 1,819 followers you may break through the 2,000 limits. Below 1,819 you are capped at following 2,000 users. I haven’t examined this, but I’m not sure that the same policy will be used for this new limit. To break through the limit, you’ll have to get more than 4545 users following you before you can go through the 5,000 limits. Let me know what you think! So, how many users can you unfollow? This is a difficult question since Twitter doesn’t say. It’s possible to bulk unfollow using automation tools, but you have to click on each user manually, and then click unfollow. So, use your common sense. I’ve unfollowed over 600 people in one day, but that was a one-off- I wanted to unclutter my feed, but if I unfollowed 600 people each day I’d get banned. So, there you go. 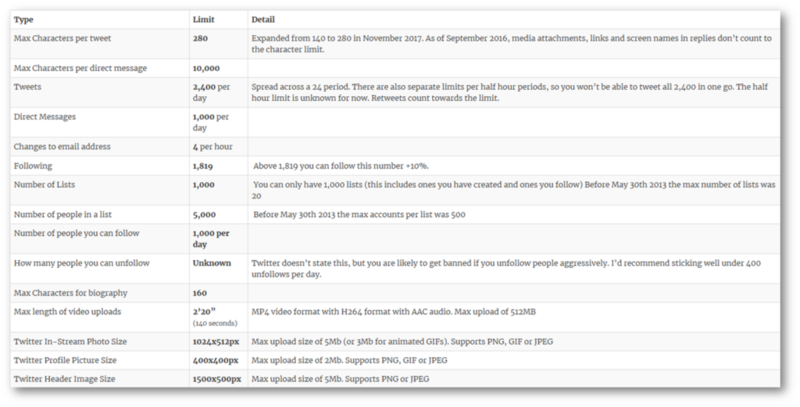 Remember, Twitter is a social network platform- these limits are for our protection. Do you think these limits are suitable, or do you think they should be changed? Let me know in the comments below.